Since the dawn of time we have been fascinated by the beauty and the “mystical powers” of the night sky, and the universe. Now looking at the universe we can see its rational aspect, linked to a number of scientific theories, and the other more spiritual perspective, that refers to religions and ideologies. Considering these two points of view, we designed a concept in which the light shows these two natures, just like two equivalent answers to the same question. 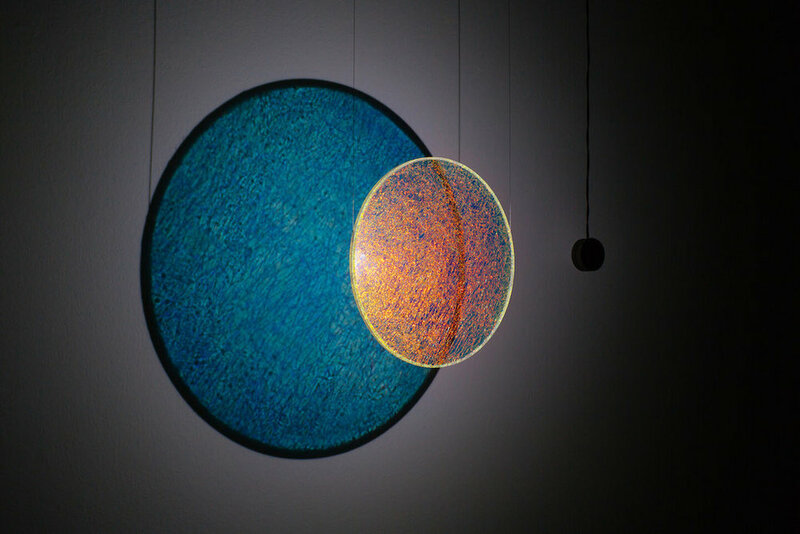 The hanging disc receives light from a single source, and reflects back two different views from a dichroic film. If you look at the light, you will immediately see a coloured reflection on the disc's surface. However, our mind and eyes are always eager to look beyond, and move toward abstraction: by doing this, you will be able to perceive different colours of light from the intangible projection. 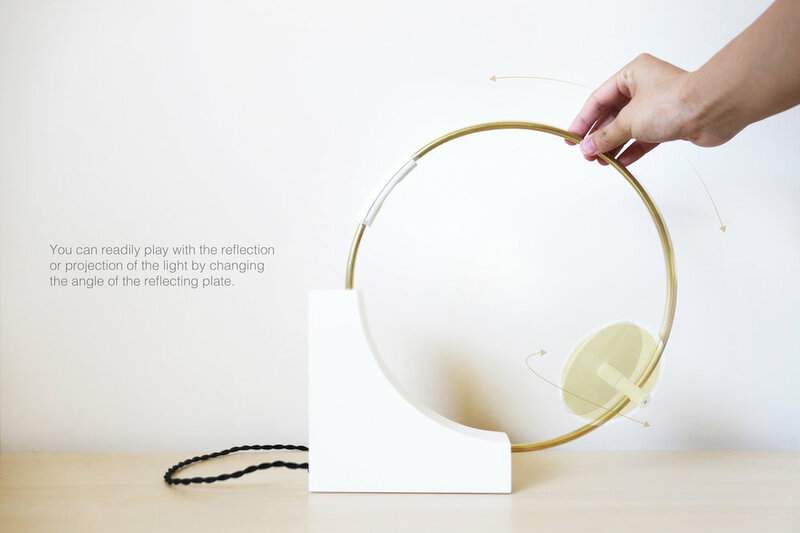 The hanging reflective disc is made out of two layers of ecoresin that mixes physical features of PETG, and a dichroic film, which is placed between the layers of ecoresin. This 6 mm panel is CNC engraved to get 190 mm diameter, and then turned in order to dig the rail for the hanging 0,4 mm steel cable. 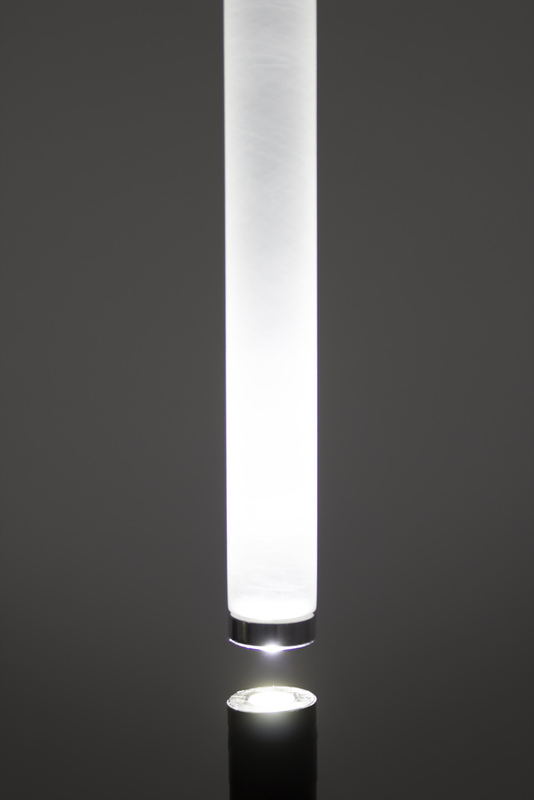 The case of the 1W LED is CNC machined aluminium, and hanged by an electric twisted cable. Alessandro Dadone and Luca Mazzon are both graduates in Product Design, respectively in Politecnico di Milano and Istituto Europeo di Design. They had the same first working experience as industrial designers in 3M Italia. After that Alessandro went to Japan to work in Mitsubishi Electric, while Luca started to develop products for BMW and Stone Island. Since they found a solid complicity working together in 3M, they decided to create their own design team. Cosmo celebrates the beauty of the movement in mysterious rules. Light connects planets, substances, and our mind. It makes us imagine the beauty of the movement, phenomena, and mystery in the enormous outer space as time goes by. Cosmic moment is about the relationship between light, time, and movement. Geo Light creates an opportunity to have you own cosmic moment by interacting the lighting fixtures. The form is inspired by basic geometry–a cube and circle. It is a harmonious combination of round and sharp edges. The form and the movement are inspired by the relationship between geometry, geography, and astronomy. The related movement of light source and reflecting plate reminds us of the constantly changing position of the Sun and Earth in orbit. It is also the time to create your own story with light and reimagine your cosmic moment! The dimension is 12”L x 12”Hx 1.5”D. The base is cnc-cut Corian. The ring is made of .25” OD brass tube. The LED (9V) housing, and reflecting holder are 3D Printed ABS plastics. The cord is cloth braided. A multidisciplinary designer, is interested in furniture, lighting, household products, and brand identity design. I envision to make positive impact or even a smile by bringing in my design, which provides a chance to enlighten yourselves by having sensorial experiences. I believe design has temperature. I believe design is honest and intuitive. After having transparent experiences with the design, it is time to translate and archive them into your memory. Inspired by the mythical fifth planet, which was once believed to have disappeared in a flash resulting in the Asteroid belt - and so-called after Phaëton, son of Helios, who was destroyed by Zeus whilst trying to drive his father’s solar chariot. Phaeton is a kinetic light sculpture, which transforms in use. The surface uses a Voronoi pattern to approximate the cracks in the surface of a nascent planet. The design utilizes a shape memory alloy as a silent actuator. Contracting as it is heated, the alloy acts upon the frame to enable the metamorphosis. The central light source reflects off the internal metallic structure, dancing as the lamp changes form; allowing more light to escape as a warm glow becomes an explosion of light. In recalling Phaeton, we aim to remind the viewer of the fragility of our own planet, encouraging sustainable behaviour. Constructed from an internal Hoberman sphere of machined aluminium alloy, Phaeton has a diameter of 420mm, which expands to 560mm when activated. The surface is clad with sapele wood laminated internally with copper then CNC milled. A bespoke silent actuator uses shape memory alloy to provide kinetic power. The precision milled parts are then manually assembled. Light is produced by a 9.5W LED bulb. Having studied at Manchester School of Architecture, James Donegan has already won a RIBA NW Architecture competition with his parametric pavilion ‘SEED’ which was exhibited in galleries across England. Callum Garvey has a background in Mechanical Engineering, having studied at the University of Sheffield. In collaboration, they aim to bring together their respective fields. Through shared interests in algorithms, geometry and digital fabrication they explore the limits of the manufactured form through generative design. The objective of this lighting series is to bring a sense of organised chaos into design. The initial ideas came from simple line drawings, then seeking materials to achieve unattainable forms – the challenge here within. The light is a flexible material used to emulate neon, often used in signage or for projects such as kitchen installations. My method of shifting contexts allows me to produce new and surprising design objects, which is what has been achieved here. I worked with the manufacturer to adapt the material to be fit for purpose for my works. Something which is ‘cosmic’ can be known as inconceivably vast. I do imagine the light ascontinuous form that could in fact be endless, that it emerges seamlessly from the power source and one does not know where it ends or begins. The light becomes a Mobius loop, one that can carry on for infinity. The chandelier has been fabricated by a metal craftsman. The light snaps into the arms after being styled on the structure. This has so far been created as a small edition product. The materials are brass, silicone, LED’s. The light material is a pre-existing product and has a life of 30,000 hours. The dimensions of the large chandelier are roughly 1000mm w x 1000mm h, with a smaller version at 430mm w x 360mm h.
Corinne Mynatt was born in Nashville, TN before moving to New York to study at Pratt Institute. She moved to London to complete her BFA at Central St. Martin's College of Art and Design. Mynatt worked as an artist and curator for many years before undertaking a Masters at the Design Academy Eindhoven (NL). Currently Corinne works as a designer, as well as being a curator at the Royal Institute of British Architects, London, UK. The design of this lamp was achieved through the exploration of a variety of themes related to the cosmos which were used as analogical tools. Foremost of these, were the concentric motions of the cosmic spheres (the moon revolves around earth, which revolves around sun, which revolves around the galactic center), as well as the poetic aspect of the constellations that shows how humans create a connection with the infinite by applying their own scale onto the stars. Indeed the purpose of this project was to create an object that can recreate the narrative of our obsession to understand the universe and find our origins in the stars. It does so through this introspective and contemplative experience of playfully pivoting the concentric spheres to find the light at its center. The shape of the lamp was inspired by the observatory’s wandering eye and the gyroscope’s multiple pivoting axes. Materials: 3D printed plastic (acrylic polymer), 1/2" copper pipe, copper rings, LED light. The three spheres are 3d printed in halves to be inserted into each other. The copper rings hold the halves together and support the pivot points for each sphere. Rachel Tardif and Tatev Yesayan graduated in Design from Concordia University in Montreal. Inspired throughout their studies to bring harmonious interactions into the built environment, they aim to create poetic experiences in each of their projects. Their work ranges from smaller scale lighting design to larger scale urban installations. Their process is fundamentally influenced by analogical thinking as an approach to design, and thus their work is often inspired from elements of nature. We live inside a Universe where everything that matters is kept together by few fundamental forces in a continuously flowing state of equilibrium. The existence of the cosmic equilibrium has always been considered a fascinating phenomenon of compensation. 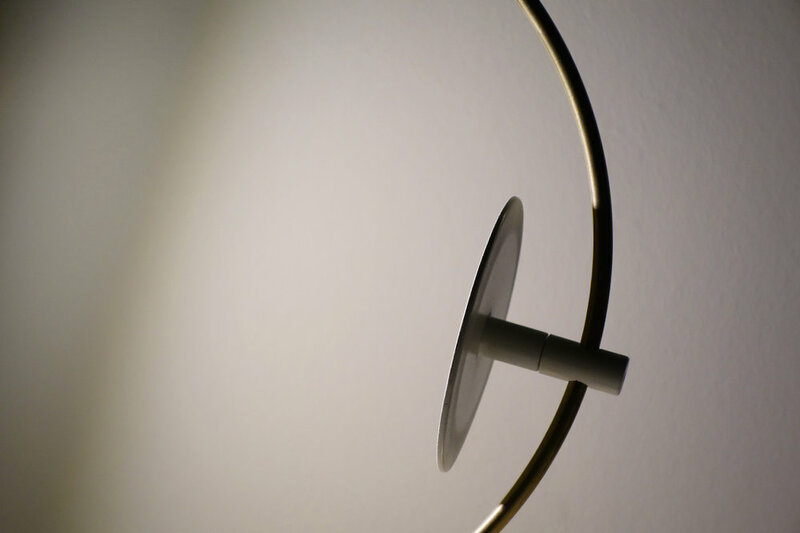 EQUILIBRIO lamp is based on the same phenomenon : the balance between gravity and magnetic force. When the two sides of the lamp get close, the magnetic force becomes strong enough to challenge the gravity, letting one side magically flows in the air, in a constant state of equilibrium. 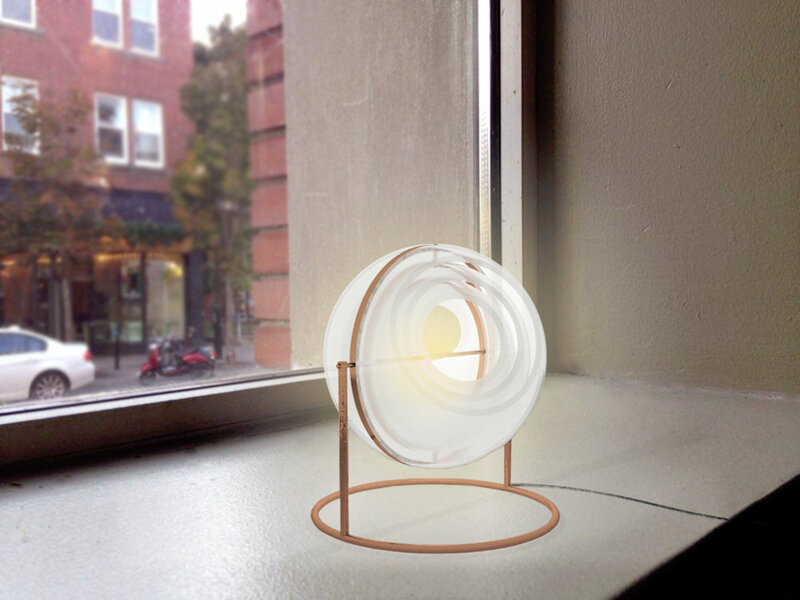 Just when the two parts of the lamp reach the perfect balance, the light can be diffused through the Plexiglass into the surrounding. My mission, as a designer, is to take on complex challenges and develop innovative solutions that go beyond everyone imagination. After my MA at Kingston University London , I started my own business, first designing products for private clients, and then exhibiting my first series of lamps at the Milan Design Week 2015. Currently I'm working on few projects, in the field of light design, that will be displayed during London Design Festival 2016. Supernovae stand out in the sky like cosmic beacons, which scientists use to measure distance in space. Lighthouses play a similar guiding function on earth, providing signals by which sailors can safely navigate and explore. Lighthouses are the guiding inspiration for the Greenway family of lighting. Created to pay homage and reflect the qualities of one of Australia’s oldest architectural landmarks, Macquarie Lighthouse, this collection draws on the attributes of Sydney’s lighthouses both formally and functionally. Customisable and interchangeable, the Greenway luminaires are available in a vast array of shapes and sizes, depending on the environment they will be illuminating – just like actual lighthouses. 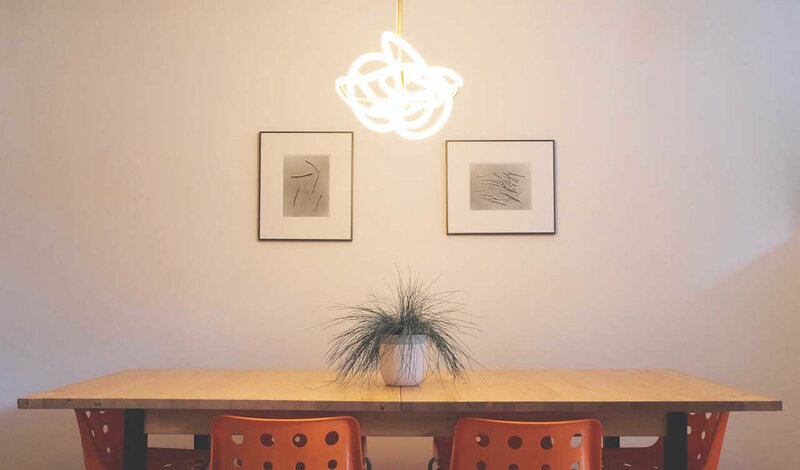 Employing the modular and flexible ideals of globeless LED technology, Greenway is a light fitting for the sustainably minded, and those who appreciate the sturdy and elegant qualities of brass and handblown glass. ADesignStudio by Alex Fitzpatrick explores the relationship between the scientific and the poetic aspects of lighting, as well as the application of both current and emerging technologies. 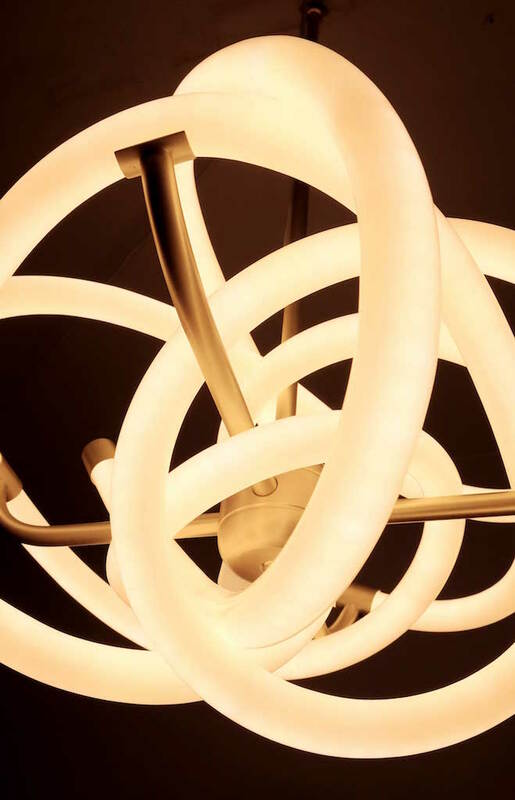 The result of this exploration is a range of beautiful, functional and energy-efficient light fittings suitable for commercial, residential and hospitality environments. Launched in Sydney, Australia, in 2015, ADesignStudio products are inspired by everyday surroundings and nature, and are highly researched, with a strong narrative focus. 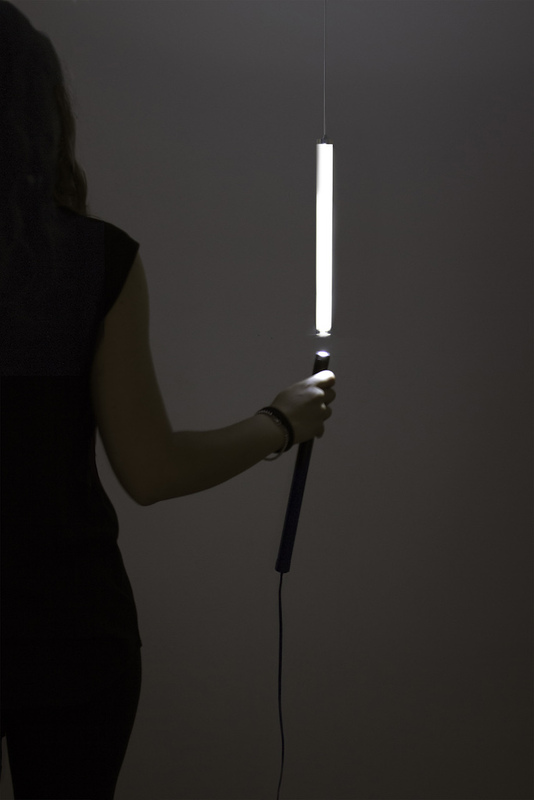 "Pierre de lune" celebrates the singularity of bedtime rituals by creating a soft, warm and unique light. The digital tools used to produce each one of its parts make "Pierre de lune" a unique home object who’s detailing remains minimal and elegant. The concrete sphere expresses the simplicity but also the imperfect shape and surface of our moon. Its weight, however, is somehow related to gravity, taking you right back on Earth. The maple wood lens was chosen in order to create a natural and soothing light. The angle of the projected light also mimics the effect of the sun disappearing on the horizon. As would be a piece of our moon, each lamp is made unique by the spontaneity of the molded concrete’s pore patterns as well as the naturally occurring veins on the wooden lens, which are impossible to reproduce or standardise. My challenge was mainly to create a one-piece concrete spherical shell. This is why each little moonstone depends on a series of digital processes. 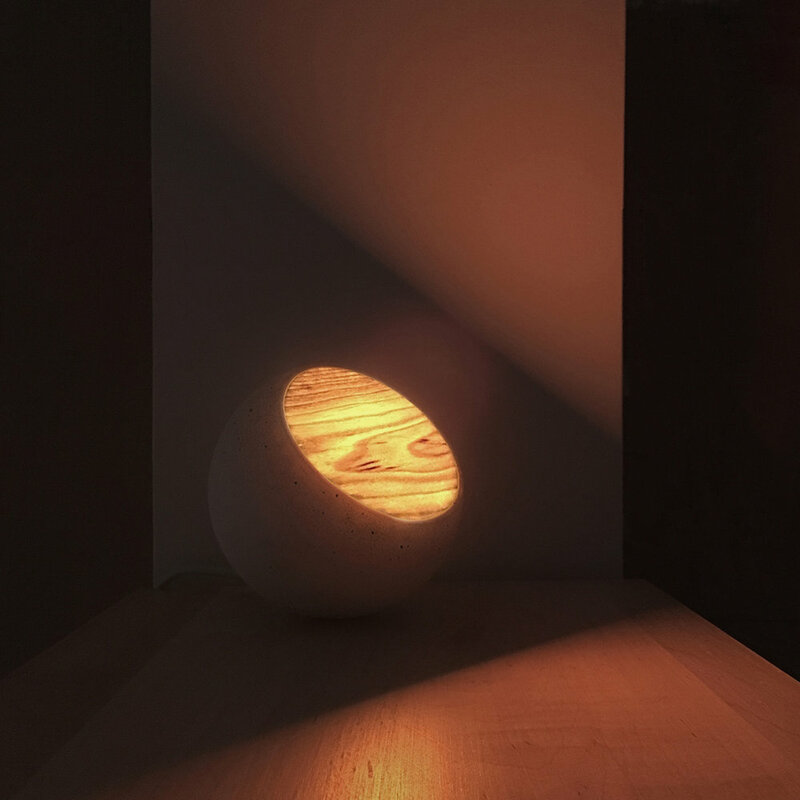 The concrete shell holding the LED was molded using a 3D printed cast, while the wood disk that creates the lamp’s warm feel was laser cut from a thin wood sheet, achieving a perfectly fitting section for every "Pierre de lune". Vincent Le Bon is a young Canadian entrepreneur. When he was young, he used to build things with his father, sometimes crafting smaller objects and other times, larger structures. Vincent developed an interest in designing and creating furniture while living in Paris where he worked at a home and living e-commerce company in order to better understand the industry. In 2016, Vincent launched Binx, his own furniture & home design lab in Montréal, Canada. Cosmos, among other things, is perceived as the feeling of “inconceivable vastness.” Janus, a table lamp designed with this idea in mind, explores the theme’s multiple and concurrent interpretations as they exist coherently within one design object. Named both for the two-faced Roman deity (often depicted as a coin) and one of Saturn’s outermost rings, Janus’s form borrows directly from its namesakes. At the center, an adjustable shade of dichroic glass pivots on a central axis—mimicking planetary movement while refracting the light to create strikingly different effects on each of its two faces and its surroundings. To support the shade, an orbital ring rendered in brass shines light inwards, concentrating the dichroic effects of the glass to create an aurora-like experience. Embracing universality, Janus holds a mirror to our evolving world, melding different recognizable tropes to create a continually shifting experience for the user. Josh Metersky and Aiden Bowman are the Brooklyn-based designers behind Trueing—a young, context-driven studio working between product and graphic design. Their respective backgrounds in engineering and art history lend each project a sense of utility, tempered with reference to wider material culture. As the name Trueing would suggest, their approach brings projects into focus, arriving at the exact form, appearance or structure required by the brief.